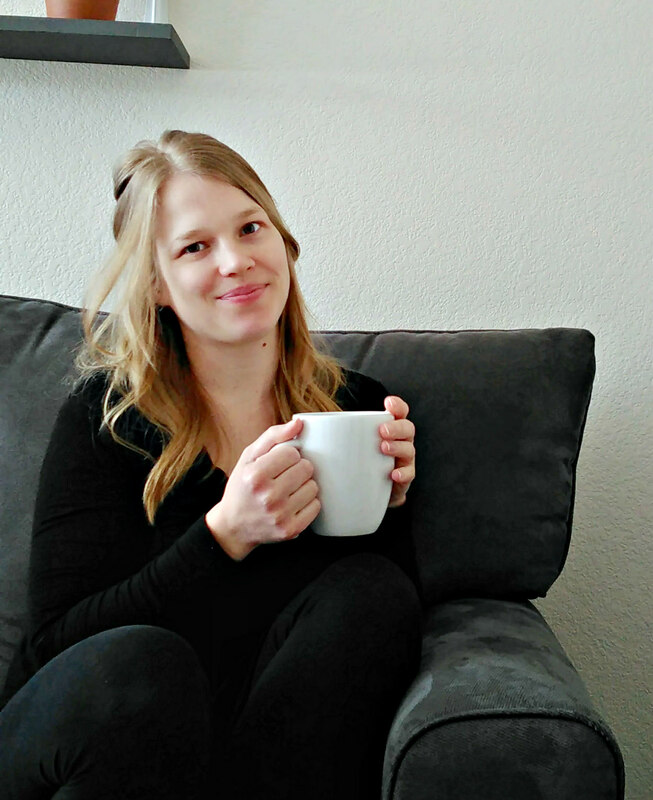 Thirsties Diapers is one brand that I really want to love. They are a great North- American- based company, and really seem to care about their customers. Unfortunately, their ever-popular Duo Wraps just don't work well for us beyond about 8 months. This post contains affiliate links. This means if you click through and make a purchase, I receive a commission for my referral, at no extra cost to you. Thank you for supporting my blog! I've been more drawn to natural-fiber all-in-one diapers lately, so I had to test Thirsties' out. I don't normally do reviews on diapers that have lived with us for less a month, but I made the exception with this one. Keep in mind that it will be more of a first impressions post, only being on the bum a couple times. 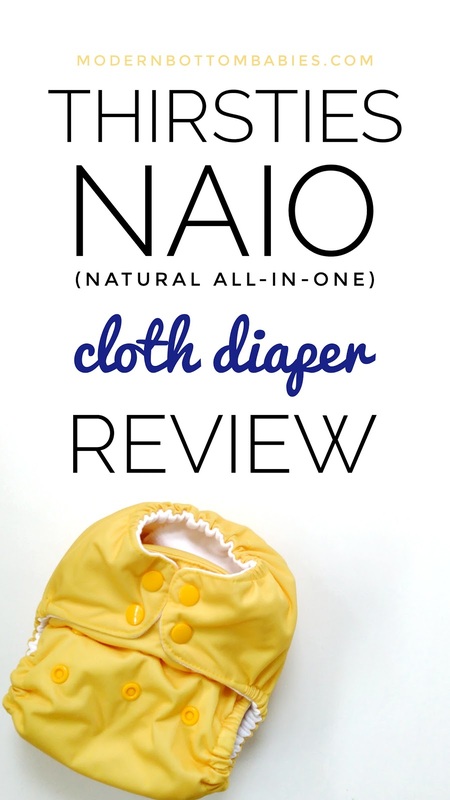 The NAIO (as I will be referring to it as here on out) is a one-size, all-in-one diaper with it's inner made up of hemp and organic cotton. There are two soaker pads, sewn in at the front. Having the soakers free like "tongues" allows for faster drying time and easier cleaning. The NAIO is available in both hook and loop and snap closures. This will be a short section. I like pretty much everything about this diaper. I love the fit, I love how absorbent it is, I love that it is made up of natural fibers. I love that it doesn't require crazy prepping. Thirsties recommends washing it three times before use, but I'm a one-and-on-the-bum type of prepper. 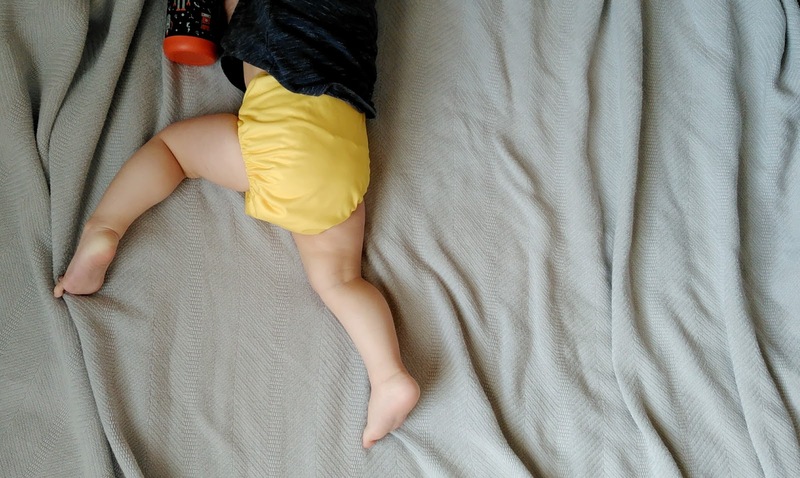 It held up for hours- through nap time, and and beyond- after just one wash.
My biggest complaint about all-in-one diapers in general is dry time. The NAIO is the slowest dryer of the all-the-ones I own. Dry time is kind of a deal for me, which is why I love flour sack towels so much. My other issue, and the biggest reason I won't be completely filling my stash with NAIO is that I don't really like any of their print and color options. Hopefully this summer will bring some that are more my style. And *hopefully* Thirsties releases more that are like Daffodil, with matching snaps. I'm also skeptical that it will fit up to the stated approximate 40 lbs. I really like this diaper. It's trim, thirsty, and pretty much all you would want out of a diaper. I hope to have more in my stash in the future. Have you tried any natural-all-in-one diapers yet? What is your favorite? 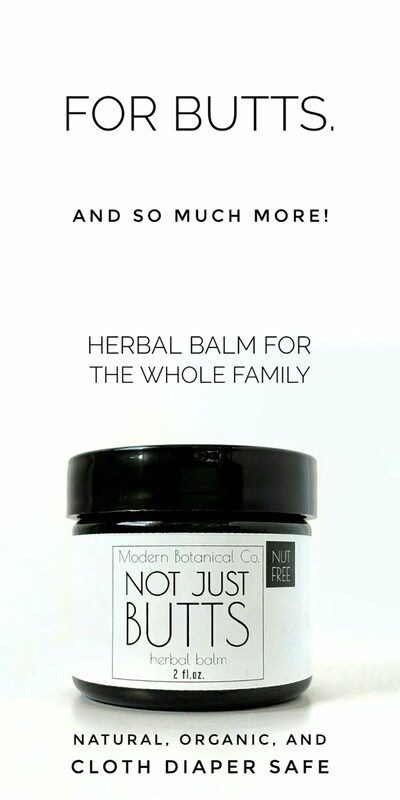 See all my current reviews here.